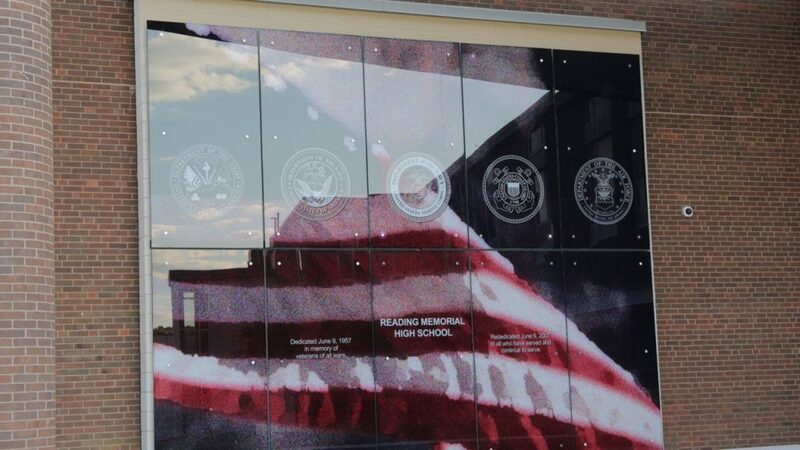 Each year on November 11 the Town of Reading gathers to honor its veterans. This year Reading’s Veterans Day Ceremony will be held on the Town Common at 12:30 pm and will be followed by a complimentary luncheon being organized by the Reading Public Services Department. Veterans, their families, friends, and neighbors are invited to attend the Veterans Day Lunch to be held on Veterans Day, Sunday, November 11, 2018, from 1:00 pm – 2:00 pm at the Masonic Lodge Hall, 110 Haven Street. Entrance to the luncheon is on Linden Street. This year we are remembering the 100th anniversary of the end of WWI with the signing of the Armistice at the 11th hour of the 11th day of the 11th month in 1918. President Eisenhower changed the name to Veterans Day in 1954 to honor all Veterans, not just those that died in WWI. Our Ceremony begins promptly at 12:30 pm with the National Anthem performed by the Reading Memorial High School Small Ensemble. Speakers for the event include Kevin Bohmiller, Veterans’ Services Officer, Father Stephen Rock, Saint Agnes Parish, Barry Berman, Vice Chair, Reading Select Board, Senator Jason Lewis and participation from Reading Boy Scouts and Girl Scouts. Virginia Adams from the Reading Historical Commission will speak on the events in Reading during WW1. Staff from the Reading Public Services Department, including Elder /Human Services Administrator Jane Burns and Veterans Service Officer Kevin Bohmiller and, are coordinating the Luncheon. The Masonic Lodge is located at 110 Haven Street, Reading, MA 01867. In case of inclement weather, all observances will be held at the Masonic Lodge.